One thing that Gary Illyes of Google said at SMX East a few weeks ago that did not drive much attention, but a note I wrote down while on the stage with him was that the co-founder of Google, Larry Page, he does not believe in manual actions. For any SEO who has been in the business for a while, this comes as no surprise, but anyone relatively new in the industry, it would come as a surprise. The number of manual actions Google sends out is huge, some estimate show it at over 500 manual actions per hour. That is not a small number, so you'd think the co-founder of Google would be into them since they invest a lot of resources into them. But he is not because he believes algorithms, not humans, should be smart enough to figure out the cases that humans are currently picking up with those manual actions. 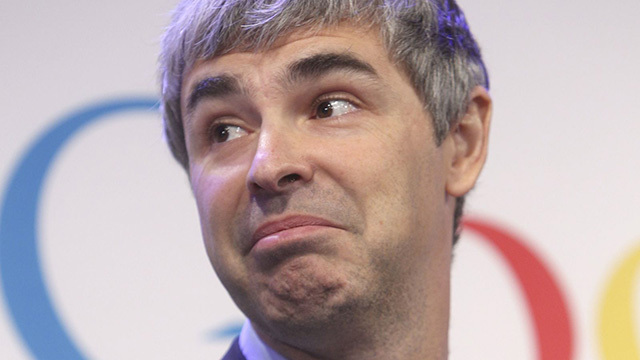 Larry Page was all about removing the human layer and writing algorithms to take over the jobs. This is why Google is known for horrible customer service because it requires humans. Humans do not scale, algorithms and computers scale. Since it is a slow "news" day, I thought it would be fun to remind people about this and then you guys can argue about why Google needs manual actions at all? The reason is likely because us SEOs have complained so much about our competitors ranking well even though they are spamming that Google needed a faster way to penalize these folks when algorithms take time to write and test and of course can miss edge cases.